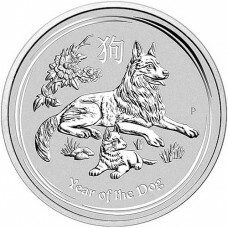 Cointains 1/2 troy ounce of pure .9999 silver. 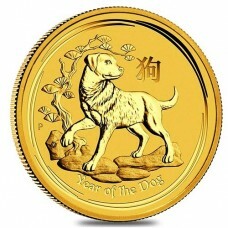 Considered legal tender by the Government of Australia (Face Value of 50c). 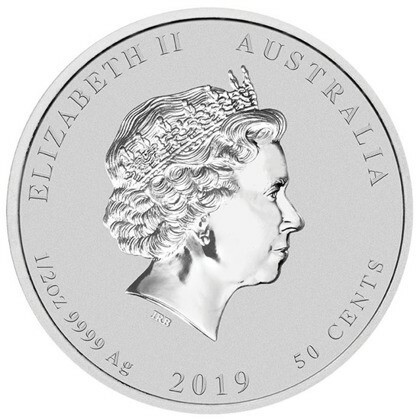 Obverse Design: Traditional bust of Queen Elizabeth II along with the date, purity (1/2 oz .9999 silver) and face value of the coin (50c AUD). Reverse Design: Brand new for 2019. 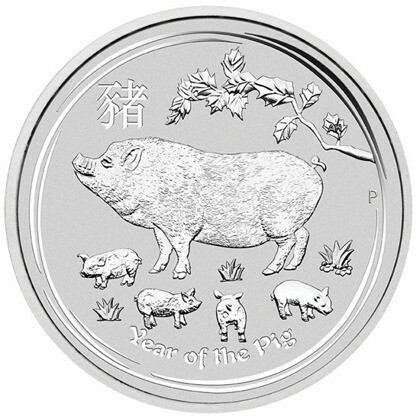 The reverse features four piglets and their mother along with the Chinese symbols for 'Year of the Pig' and the Perth Mint’s traditional ‘P’ mintmark.